Ancestor worship is a Chinese tradition that goes back thousands of years. “Ching Ming” or “Remembrance of Ancestors Day” is therefore a key holiday in the Chinese calendar. On this weekend, you may view hundreds of families visiting the cemetery to sweep/clean their ancestors’ graves and repaint the inscriptions on the headstones to show their respect. The families will bring food offerings too. 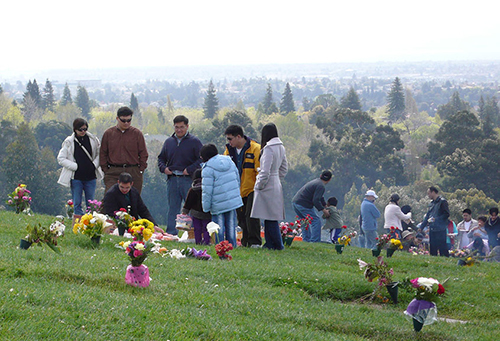 Mountain View Cemetery in Oakland will be serving refreshments to families and Family Service consultants will be available to discuss our new burial plots and niches.